We are located in scenic Adams, Wisconsin, about 85 miles north of Madison, Wisconsin. 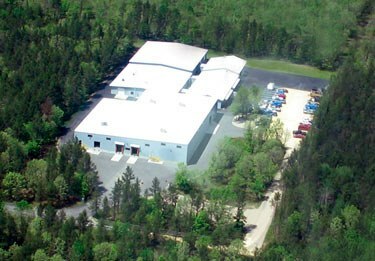 Our 50,000 square foot manufacturing facility is temperature and humidity controlled. Dust and particulates are also controlled using air filtration systems and diligent cleaning procedures. We maintain an immaculate environment to facilitate the precision work our employees engage in. We aggressively invest in new manufacturing technologies as well as search the country for the best employees. Our machines and staff are capable of producing precision components (tolerances of +/-.0002) using CNC Swiss style and CNC multi axis lathes as well as multiple CNC mills. 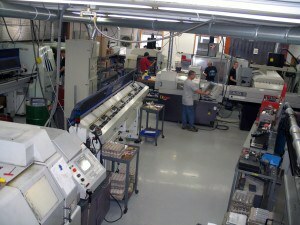 All our lathes are equipped with live tooling to eliminate secondary work and provide a more consistent, quality part. They are also interfaced with magazine bar feeders allowing one operator to monitor several machines. This helps keep our shop rate low and reduces piece part price to customers.